Traveling in or out of LaGuardia? If so, we invite you to experience our relaxing and consistently on-time LGA Car Service. We understand the need for dependability and the importance of a trusted transportation service provider. For over 30 years, Drivers Unlimited has been providing the best car service to LGA. Our professional top-rated airport car service consistently satisfies our Fairfield County Connecticut and Westchester New York clients. It was freezing at LGA and full of the construction maze there as well – but my driver was right on time. Warm car, friendly conversation, quiet when I needed it. Loverly! 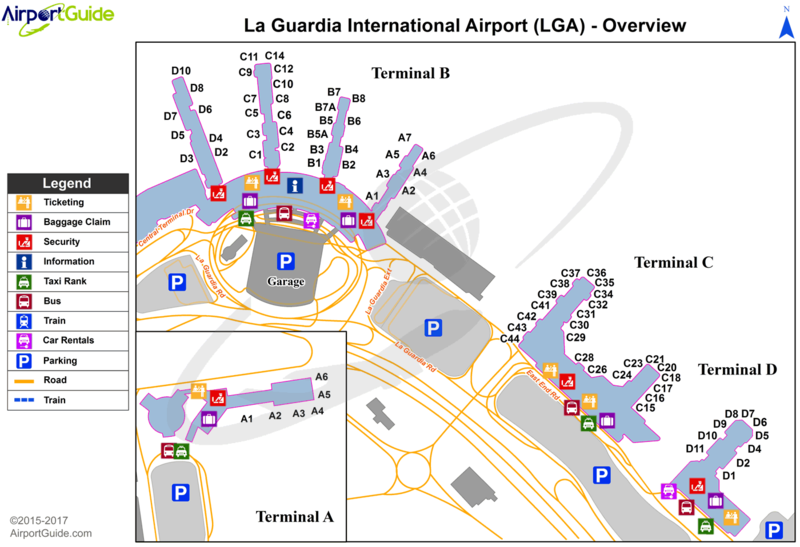 Meeting location arrangements are made at the time the Laguardia car service reservation is made. You will receive several email reminders regarding your reservation reminding of the meeting location. When meeting in baggage claim always look for your driver wearing our distinctive red hat. When meeting at other meeting locations at LaGuardia, please look for our distinctive red flag on the passenger side window of our cars. Please go to the pick-up area located in the Terminal B Parking Garage, Level 2. Please exit Terminal B at the Departures (Upper) level and turn right. Look for signs for the pedestrian bridge that connects the Terminal B Departures Level to the Parking Garage at level 2. Currently, it is a temporarily covered walkway . If your plane arrives after 10:00pm we can also meet you curbside upstairs at the departures level. Drivers Unlimited guarantees convenient, dependable and safe car service to Laguardia when you have a flight to catch. Our quality cars and experienced staff will ensure that your journey to and from LaGuardia is a pleasant one. By providing you with a luxurious space, you can stretch your feet and recharge your batteries without having to worry about directions or traffic. In other words, sit back and enjoy our Laguardia car service. Drivers Unlimited invites you to select from our wide assortment of luxury vehicles. All of our vehicles provide the highest level of comfort and safety. With regular checks and daily inspections, we make sure that every vehicle arrives in pristine condition when you travel. Whether you are traveling for business or leisure we can provide you with the dependable and professional LaGuardia car service that you require. We look forward to transporting you next time you fly in or out of LGA. Our expert New York team will ensure our chauffeur is promptly parked ready to collect you whenever you arrive. In case of an aircraft delay we will ensure that minimum disruption to your ground transportation occurs. Our team monitors all incoming and outgoing traffic. So in case of an aircraft delay, we proactively handle the situation to ensure a vehicle and driver is allocated according to your latest arrival information. We are committed to providing you with the most dependable transportation in and out of New York. 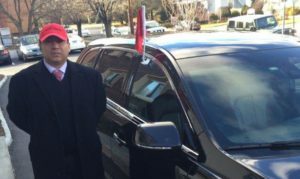 What’s more, when you touchdown your chauffeur will be there wearing a red cap as part of our “Meet and Greet” service.